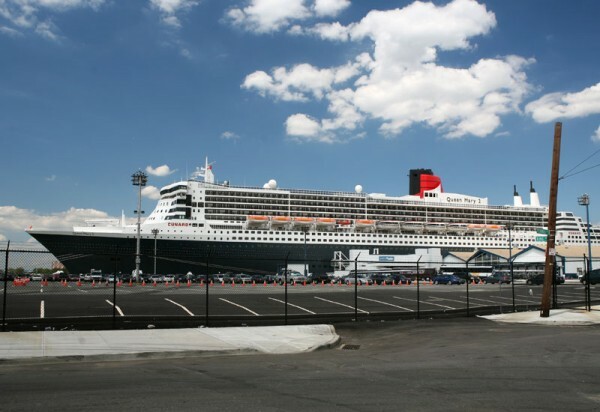 In the 2006 cruise season, Cunard’s Queen Mary 2 and Queen Elizabeth 2 will berth at Pier 12 of Brooklyn Cruise Terminal. The pier will be big enough to accommodate the 1,132-foot Queen Mary 2, which carries 2,620 passengers, as well as the 963-foot Queen Elizabeth 2 (1,790 passengers). The $800 million Queen Mary 2, the world’s largest passenger ship, made its inaugural voyage to New York last year, docking on the West Side with its stern jutting 132 feet into the Hudson, an incongruity symptomatic of the terminal, which was last renovated 35 years ago.